BR Instruments is the Industry Leader in Laboratory Distillation Equipment. B/R Instrument offers a variety of equipment for Distillation of Crude Oil and Petroleum Distillation in fully automatic, semi automatic and manually operated models. The Fully Automatic Crude Oil Distillation System according to ASTM D2892 and ASTM D5236. Choose your columns and boiler types and we will customize it to fit your needs. 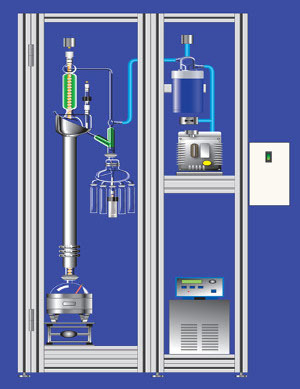 The Mini Crude Oil Distillation System is a unique small scale crude oil distillation system for samples below 1 liter in size. The high efficiency spinning band can produce very sharp fractions on crude oil and petroleum samples as small as 50 ml. 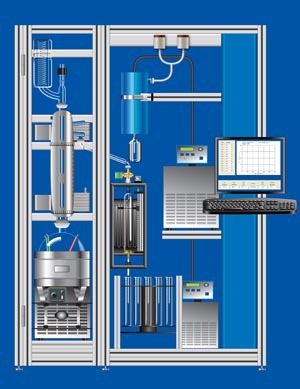 The optional PC control fully automates the collection of fractions and control of distillation parameters such as reflux ratio and vacuum level. 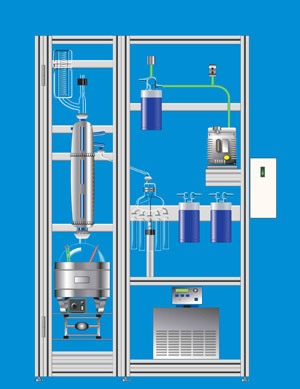 The Micro Crude Oil Distillation System is a unique micro crude oil distillation system for samples below 100ml in size. The high efficiency spinning band can produce very sharp fractions on crude oil and petroleum samples of less than 10 ml. 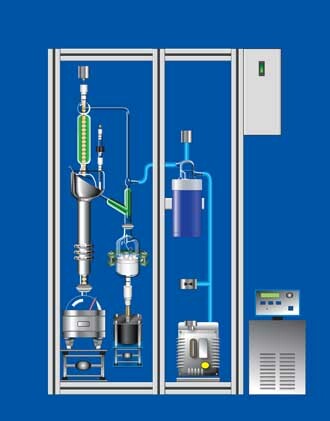 The optional PC control fully automates the collection of fractions and control of distillation parameters such as reflux ratio and vacuum level.